Part of this proje ct was funded by the Homi Bhabha Fellowships Council as a grant to Dr. Akhilesh Kumar. Based on our archaeological excavated artefacts, we explore different techniques used, implications of raw materials chosen, and reduction sequences. We investigate issues related to prehistoric cognition and decisions made in tool manufacture. 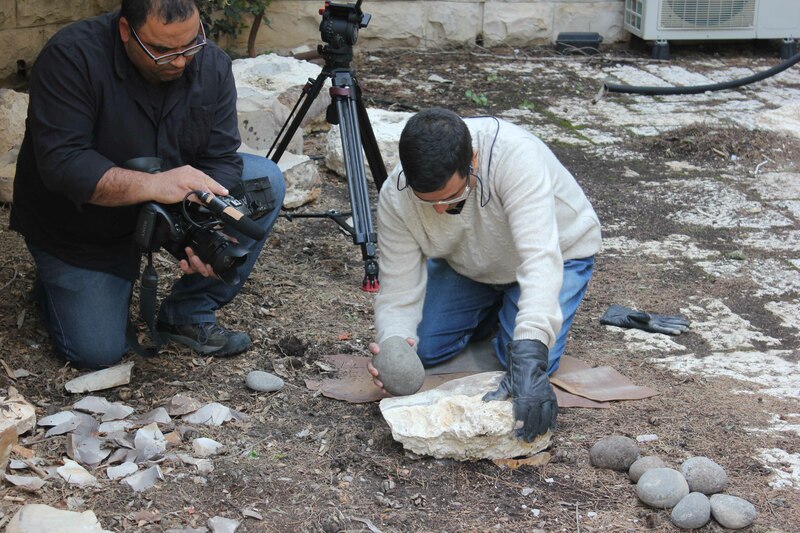 In collaboration with and under the lead of Professor Naama Goren-Inbar, Hebrew University, Jerusalem, Israel, we produced a film: Making Stone Cleavers, available freely on You Tube. We are in the process of initiating new programs on edge-wear and residue analysis on lithics, details of which will soon be online. 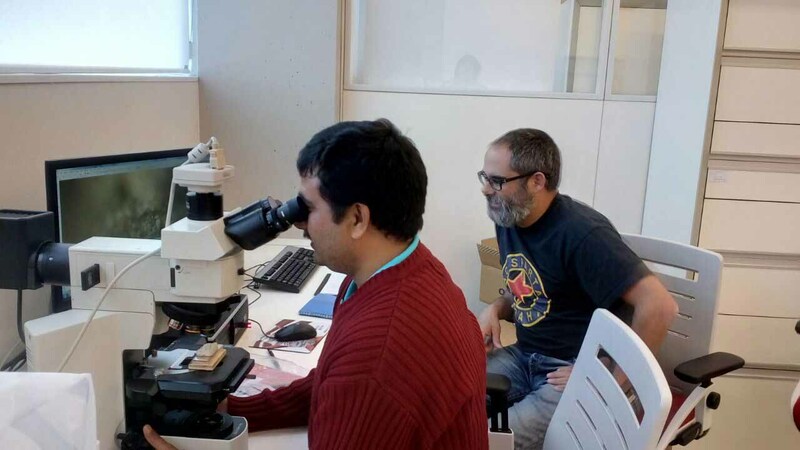 Dr. Kumar Akhilesh worked for three months at CENIEH, Burgos, Spain, and signed a Memorandum of Understanding as related to studies in prehistory and lithic technology. 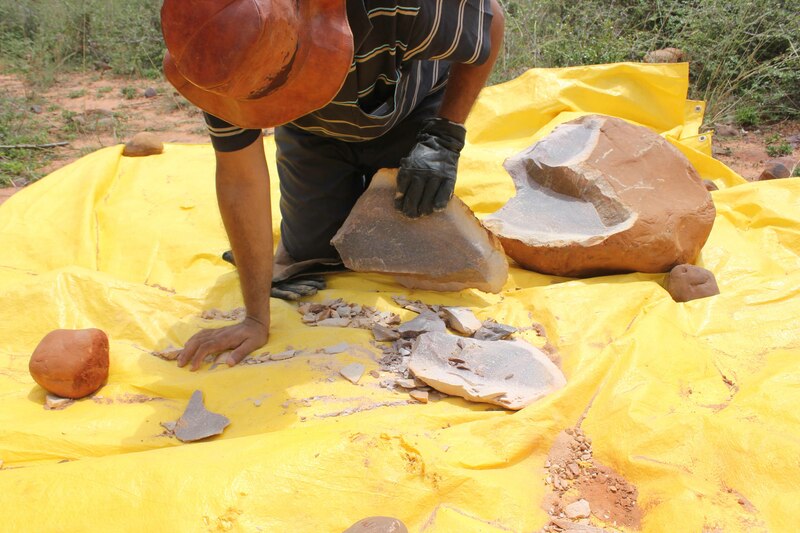 Programs for archaeologists and the interested public were begun from May 2013. Since then, a number of workshops on prehistory and lithic technology have been conducted for selected participants from South Asia. Participants learn techniques beginning with those used in the earliest Mode 1 (Oldowan) cultures to polished stone axes and celts of the Neolithic. Participants who wish to take part in one of our workshops, should contact Dr. Kumar Akhilesh ( akhilarchaeo@gmail.com, sharmaheritage@gmail.com).